— at Hollywood Center Studios. Santa Rocked Ridiculousness! Be sure and watch show Dec. 1. 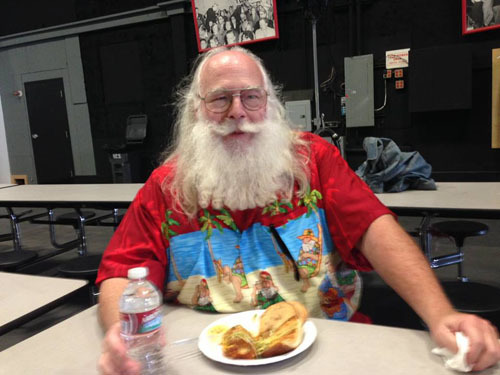 Ed Taylor is the greatest Santa in the history of Santas. Bar none. Period. End of story. Ed Taylor is so authentic as St. Nick himself, I found myself confused and wondering “Is Santa actually for real and standing in front of me?” He’s a master. Not only is Ed Taylor the most convincing Santa Claus I’ve ever seen, he’s also incredibly nice, super easy to work with, and a very funny improviser.